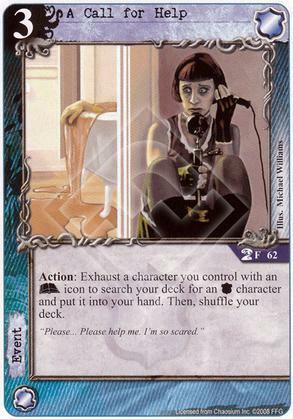 Flavor Text: "Please... Please help me. I'm so scared." This just got a whole lot better, now that agency have better characters can give everyone arcane icons and has cost reduction to afford bigger characters. I can see a couple of these fitting into my agency decks. I'd never want to top deck this instead of an actual character. Huge tempo loss.